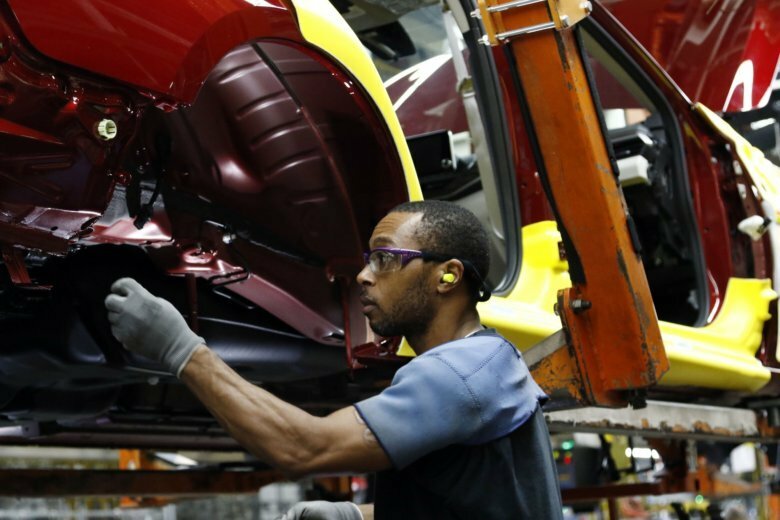 WASHINGTON (AP) — U.S. factories grew at a slower pace in September as manufacturers continued to cope with supply disruptions stemming from trade disputes with China, Europe, Mexico and Canada. The disruptions forced manufacturers to make a larger draw on their inventories. Overall the country’s industry continues to show strength, the Institute for Supply Management reported Monday. The trade group of purchasing managers said its manufacturing index fell last month to 59.8 from 61.3 in August. Anything over 50 signals growth, and U.S. manufacturing is on a 25-month winning streak. Fifteen of 18 manufacturing industries expanded in September, led by makers of textiles, plastics and rubber products, and computers and electronics. Growth in new orders slowed in September, but production and hiring grew faster. Uncertainty over U.S. trade policy and tariffs continues to dominate industry concerns, with executives responding to the survey citing chaotic market conditions. U.S. tariffs on imported steel and aluminum are raising costs for many manufacturers. Labor shortages also continue to crimp manufacturers. Last week, the U.S.-China battle escalated as President Donald Trump went ahead with a tax hike on $200 billion of Chinese imports. Beijing retaliated by imposing penalties on $60 billion of U.S. products. For supply managers, “I would call every day a chaotic event,” Timothy Fiore, chair of ISM’s manufacturing survey committee, said in a telephone interview. He is chief procurement officer at transportation company Ryder System Inc.
Canada reached a new deal late Sunday that puts it back in a revamped North American free trade pact with the U.S. and Mexico after weeks of bitter, high-pressure negotiations. It replaces the 24-year-old North American Free Trade Agreement, or NAFTA, which Trump had called a job-killing disaster. The new agreement gives U.S. farmers greater access to the Canadian dairy market. But it keeps a NAFTA dispute-resolution process that the U.S. wanted to toss out, and offers Canada protection if Trump goes ahead with plans to impose tariffs on cars, trucks and auto parts imported into the U.S. The overall economic backdrop for the U.S. remains healthy. The economy, fueled in part by tax cuts enacted in December, expanded in the April-June quarter at a 4.2 percent annual pace, the best in nearly four years.